The 101 unique in its design to accommodate perineal access from any of four directions. 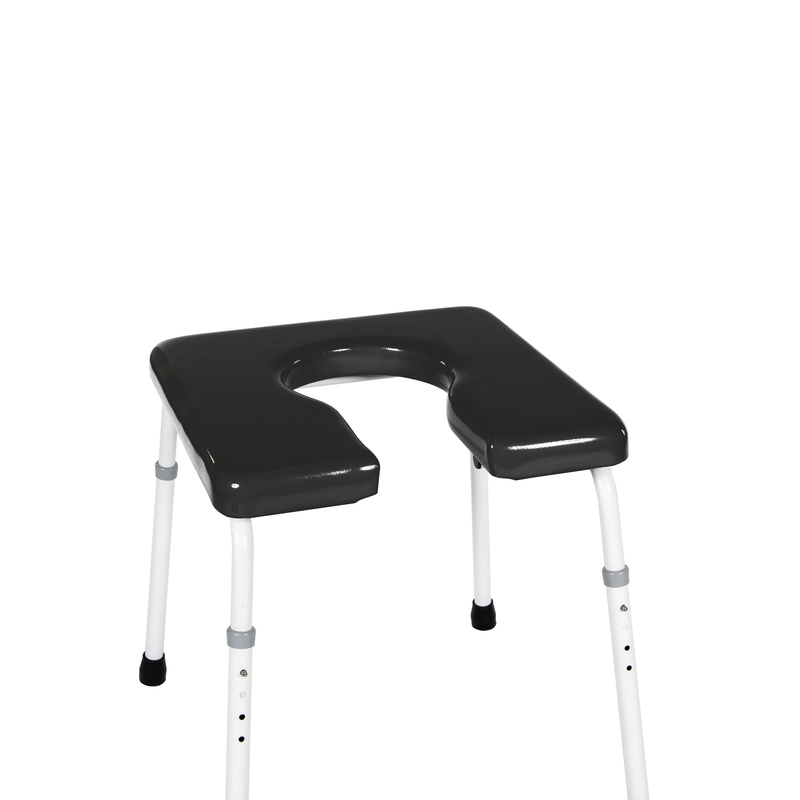 The cut-out portion of the seat can be placed over the toilet in the desired direction and the legs can be adjusted in height while maintaining a stable platform for seating. The large seating surface is padded with a high-density foam that provides excellent support while the cut-out may offer some additional pressure relief. The are 12 seating options that offer the size, contour and shape to fit a wide range of needs. It is lightweight, easy to move out of the way, and no tools are required for disassembling the legs for travel or for height adjustment. Easy to use, versatile, sturdy, and comfortable make the 101 an outstanding bathroom aid.